Newark, Delaware's Kirk Middle School Recycle Club. Kirk Middle School is the national champion of the 2018 Keep America Beautiful Recycle-Bowl K-12 recycling competition. Members of Newark, Delaware's Kirk Middle School Recycle Club. Kirk Middle School is the national champion of the 2018 Keep America Beautiful Recycle-Bowl K-12 recycling competition. 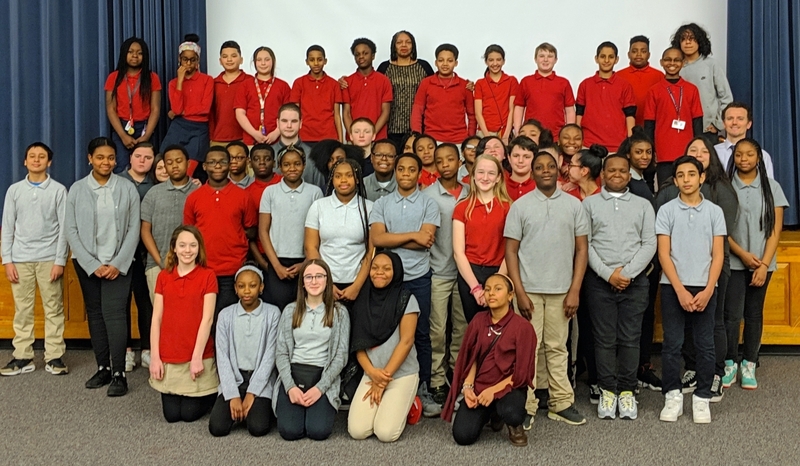 STAMFORD, Conn., March 19, 2019 /3BL Media/ – Kirk Middle School of Newark, Delaware, today was crowned national champion of the Keep America Beautiful® Recycle-Bowl, the national recycling competition for K-12 students, teachers and school communities. Recycle-Bowl engaged nearly 730 schools spanning four weeks in the fall, culminating on America Recycles Day on Nov. 15, 2018. Kirk Middle School students participating in Recycle-Bowl recycled 30.85 pounds of materials per student during the competition. 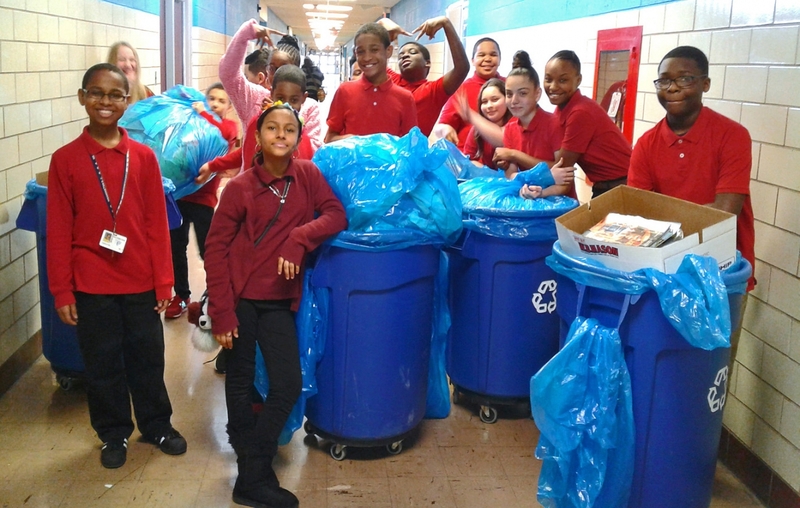 The school launched its Recycle Club in 2012, under the direction of Helene Ross-Williams. Kirk Middle School experiences a high participation rate among the staff and students who make a conscious to effort to place items for recycling in the classroom/office bins. The school was also the state winner from Delaware in 2015 and is also a U.S. Department of Education Green Ribbon School since 2015. Since 2013, the school’s recycling program success has been given a boost because of the collaboration with the 4H After-School Program, under the direction of Fontella Taylor. “Kirk Middle School is shining a bright light on Delaware and our efforts to recycle more,” said Keep Delaware Beautiful Executive Director Julie Miro Wenger. “Having students lead our change in behavior ensures a positive long-term effect we can all be proud of." During the four-week program, participating schools track and report how much recyclable material they collect. At the close of the competition, the school in each state (and the District of Columbia) that collects the most recyclable material per capita is crowned state champion with the national champion chosen from among the statewide winners. Schools that participate in past Recycle-Bowl competitions have been measured as recycling 10 percent more than schools that don’t participate. “We are so proud of the Recycle Club at Kirk Middle School. These students and educators are leading the way in showing how easy it is to make more sustainable choices and be more environmentally conscious citizens,” said Christina School District Superintendent Richard L. Gregg. In 2018, more than 260,000 students and teachers nationally participated in Recycle-Bowl. Recyclables recovered during the competition totaled 1.3 million pounds, which prevented the release of 1,842.68 metric tons of carbon dioxide equivalent (MTCO2E). This reduction in greenhouse gases is equivalent to 4.5 million miles driven by an average passenger vehicle, and 643 tons of material recycled instead of landfilled. The list of the 2018 Recycle-Bowl division and statewide winners are on the Recycle-Bowl website, as well as descriptions of the national competition categories.